No matter what type of card you need to print — from identity and access to membership, event and credit/debit cards — the ZC300 Series card printers will help you do it better, faster, and easier. Elegant engineering of the ZC300 and ZC350 card printers eliminate virtually all pain points associated with card printing. The result is push-button simplicity no matter what you are printing — single or dual-sided magnetic stripe or contactless cards, in color or black and white. And with a ground-breaking fits-everywhere design, you can get secure card printing wherever you need it. 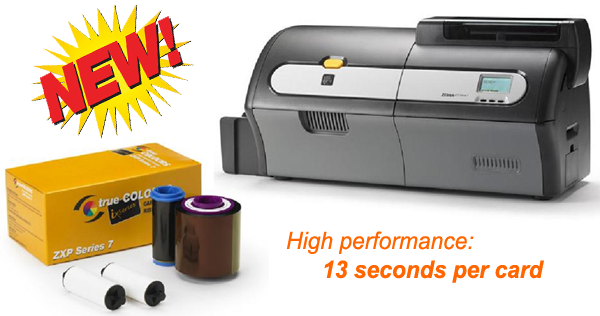 When you need even more, the ZC350 delivers the fastest print speed and advanced printing options that allow you to create virtually any card design you can dream up. With support for just about every encoding technology, you can create just about any type of card — credit, debit, identity, access, loyalty, public transportation passes and more. 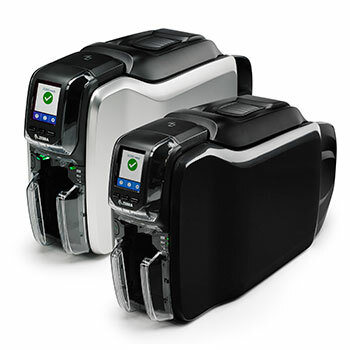 The ZC300 Series — the card printers that deliver it all.